Contemporary Music Night #24 – Wandelweiser # 2. The Twentyfourth two-weekly Contemporary Music Night on Concertzender with tonight the Second of an about TwentyFive episode series with all the published records of the Edition Wandelweiser label in chronological order from 1996 till now. 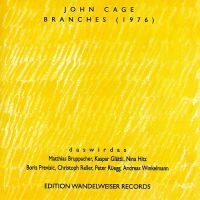 CD: Edition Wandelweiser Records EWR 9608. 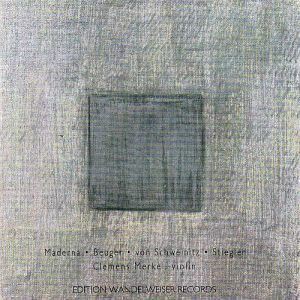 Wandelweiser String Quartet: Clemens Merkel. Joanna Becker: violin. Konrad von Coelin: viola. Marcus Kaiser: cello. 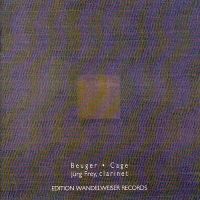 CD: Edition Wandelweiser Records EWR 9801. Ensemble Daswirdas: Matthias Bruppacher. Kaspar Glätti. Nina Hitz. Boris Previsic. Christoph Reller. Peter Rüegg. Andreas Winkelmann. 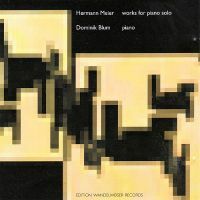 CD: Edition Wandelweiser Records EWR 9901. Barbara Deleu: flute. 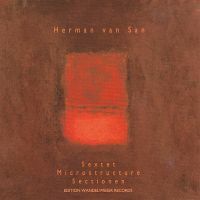 Dimitri Baetman: oboe. Peter Merckx: clarinet. Dirk Noyen: bassoon. Dries Geeraert: horn. Guy Vandromme: piano. Götz Hartmann, Rosemarie Keller, Dirk Hegemann: violin. Walter Keller, Wolfram Hertel, Wolfgang Düthorn: cello. 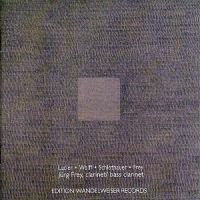 CD: Edition Wandelweiser Records EWR 9902. 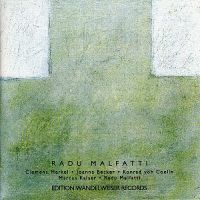 CD: Edition Wandelweiser Records EWR 0001.